LIBERTY — Lillian S. Hughes, 87, of Liberty, passed away peacefully, Saturday, Feb. 9, 2019, at Community Skilled Nursing Centre in Warren, under the comforting care of Hospice. A graduate of Harvey High School in Painesville, Lillian furthered her education at Central State University, receiving her bachelor’s degree in elementary education. Later, she earned her master’s degree at The Ohio State University. She taught with the Cleveland School Systems, and retired in 1986 from Youngstown Public Schools. Lillian was married on Dec. 21, 1957, to Robert C. Hughes Sr., and they were married for 53 years until his death on March 16, 2011. 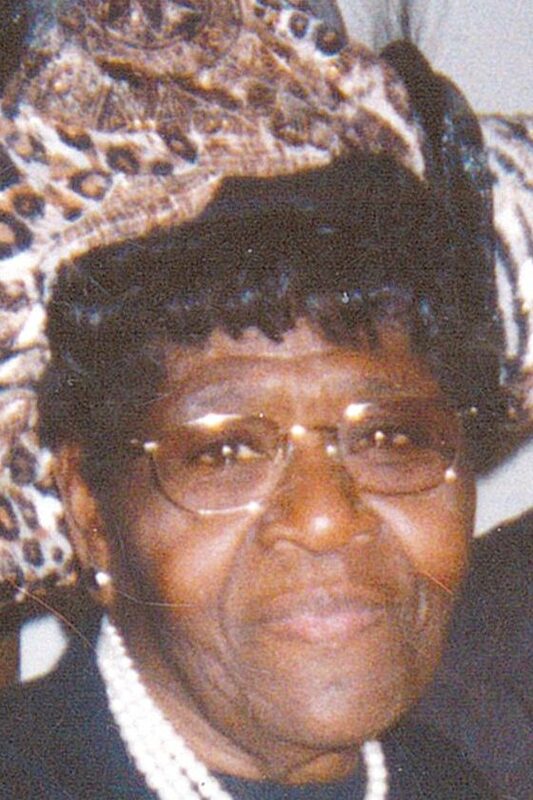 Fond memories of Lillian will be carried on by her children: a son, Robert C. (Arbor) Jr. of Youngstown; daughters, Bobrea Hughes Robinson of Warren and Barbaran (Samuel Jr.) Caffey of Howland; a sister, Willie Mae Horne of Canton; eight grandchildren; and six great-grandchildren. Besides her parents and her husband, Elder Robert C. Hughes, Lillian was preceded in death by two brothers, General Thompkins Jr., and J.C. Thompkins, and two sisters, Nellie Mae Haynes and Rosie Bell Huffaker. Family will receive friends from 10 to 11 a.m. Friday, Feb. 15, 2019, at the Beulah Temple Church UHC, 523 Griffith St., Youngstown, Ohio 44510. A funeral celebrating the life of Lillian will take place at 11 a.m. Friday in the church, with burial to follow in Tod Homestead Cemetery in Youngstown. The family would like to offer a special “thank you” and gratitude to Drs. Jagdesh Patel and Vijay Shah, as well as to special care givers Barbara Ann Skinner, Mary Lou Quick, and Michele Duncan, for all the care they gave to Lillian. Arrangements have been entrusted to the care of the Staton-Borowski Funeral Home, 962 North Road, NE, Warren, Ohio 44483, 330-394-6200. Dedicated To Serving Your Loved Ones. This obituary may be viewed and condolences sent to www.statonborowskifuneral home.com.